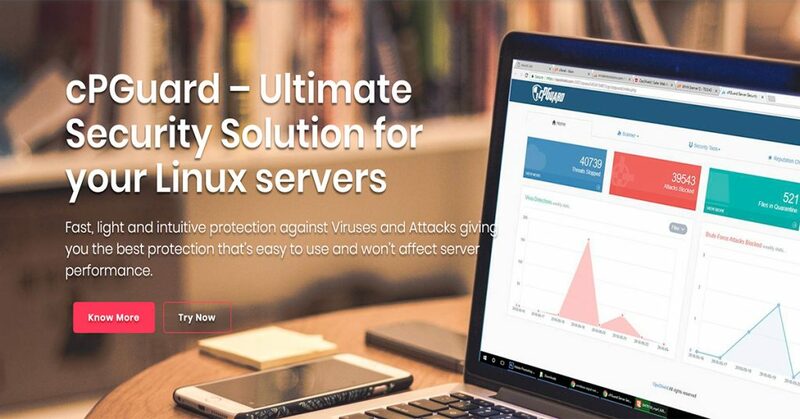 cPGuard is an essential security addon for web hosting servers to help administrators to fight against malware threats and injections. As it exclusively works based on File System changes ( no more mod_security or FTP hooks dependency alone ), we can detect and scan any real-time changes on the server. In addition to malware/virus scanning, cPGuard helps to reduce spamming by checking IP address reputation, domain reputation and scanning email sending scripts using CSF integration. We also include very powerful set of commercial mod_security rules to eliminate bots and brute-force attacks against your websites. Though we are primarily targeting cPanel integration of the product, we are writing the core to make it working with any control panels or without a control panel with ease. Read More in OPSSHIELD website.